What does “Save As” do? The “Save As” functionality allows you to save your file without overwriting the previous version by choosing a new name and optionally a new location. How do I save a file to my local device? Saving a project file to your computer is similar to saving a file in any other program. Click File - Save As - Computer. It saves the current file, in the current format. How do I save a file to a cloud service? To save a file to a cloud service go to File - Save As and select the desired cloud service. What is the difference between export to MPP and save as MPP? 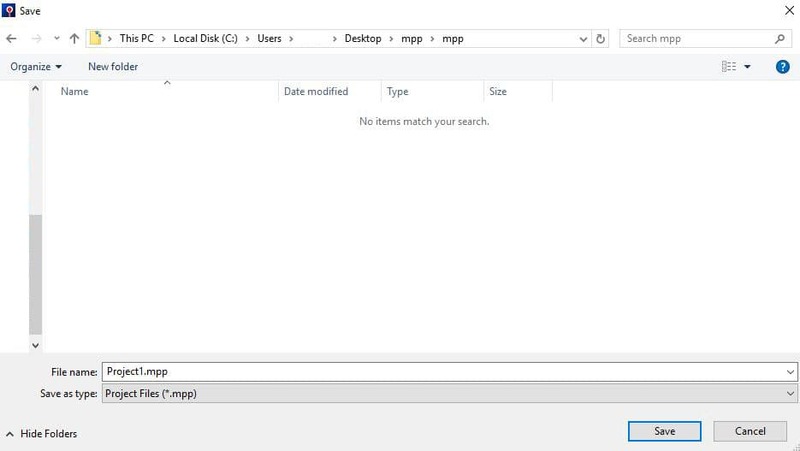 There's no difference between export to mpp and save as mpp. 1. In Project Plan 365, click File – Save As. 2.Click Computer and then click the folder where you want to save it. 3. Type a name in the File name box, and the click Save. 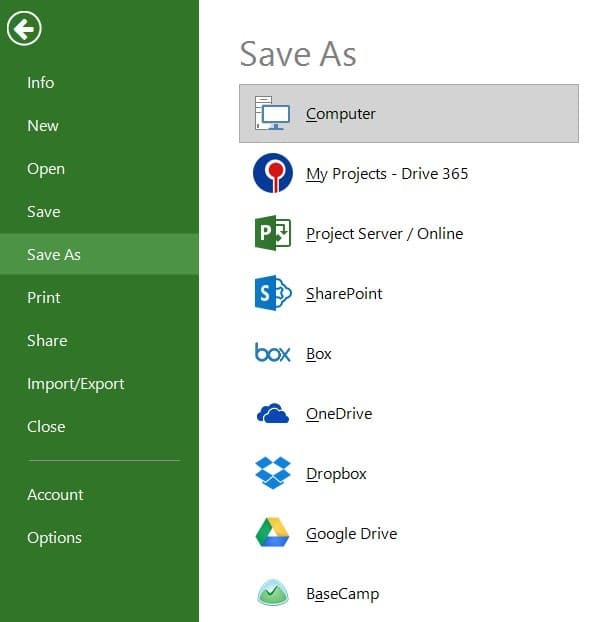 Of course, you’re not limited to saving just to your computer, but to other locations also: My Projects - Drive 365, Project Online, Project Server, SharePoint Online, Box, OneDrive, OneDrive for business, Dropbox, Google Drive and BaseCamp.